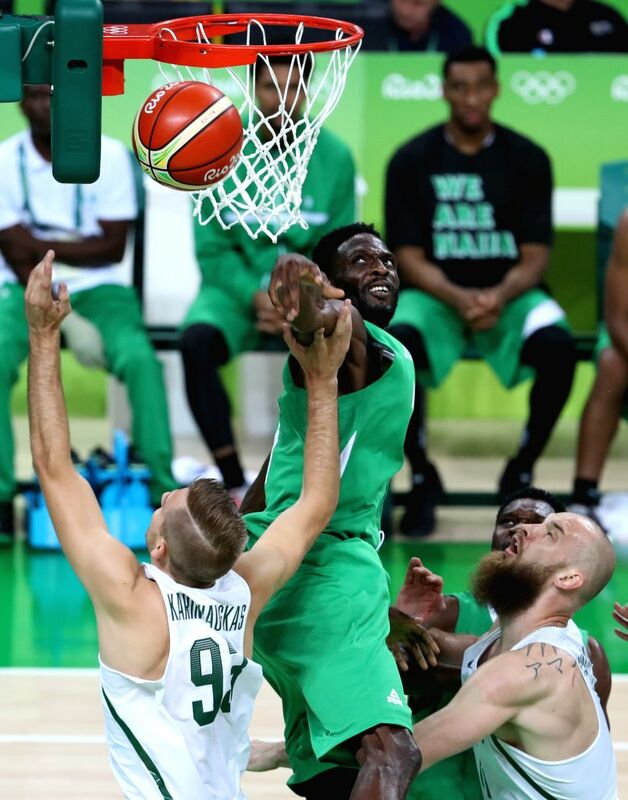 RIO DE JANEIRO, Aug. 9, 2016 - Nigeria's Ekene Ibekwe (C) blocks Lithuania's Vaidas Kariniauskas (L) during a men's preliminary round match of basketball at the 2016 Rio Olympic Games in Rio de Janeiro, Brazil, on Aug. 9, 2016. 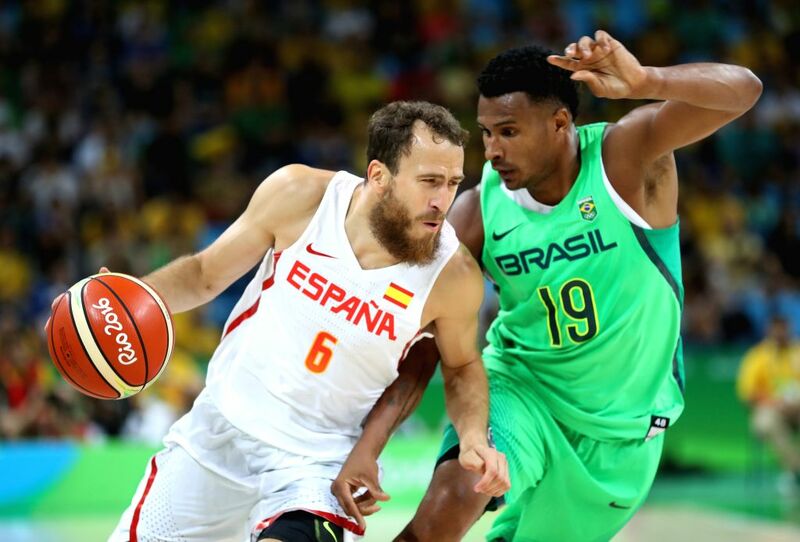 Lithuania won 89-80. 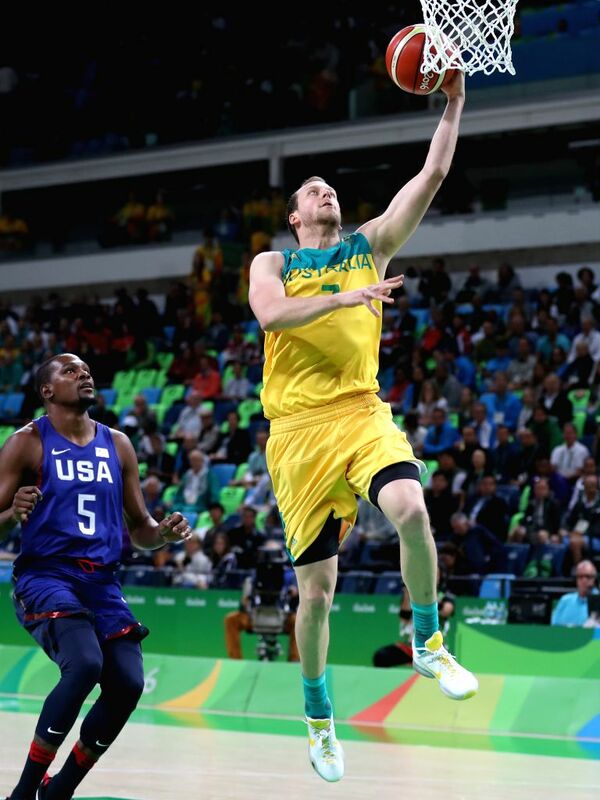 Joe Ingles (R) of Australia goes up for a shot against Kevin Durant from the United States of America during a men's preliminary round match of basketball at the 2016 Rio Olympic Games in Rio de Janeiro, Brazil, on Aug. 10, 2016. The U.S. won 98-88.